a Gambling is defined as all forms of betting, gaming and wagering, and any lotteries. b Lawful gambling means any form of gambling made lawful under Section 6 of the 1999 Law. c Gaming means the playing of a game of chance for winnings in money or money’s worth, regardless of whether any person playing the game is at risk of losing any money or money’s worth, but does not include the making of bets by way of pool betting. d Game of chance includes a game of chance and skill combined, and a pretend game of chance or of chance and skill combined, but does not include any athletic game or sport. These definitions have the effect that, in Alderney, games of pure skill and competitive sports for prizes are excluded from the definition of gambling. However, sports betting, including fantasy sports, does fall within the Alderney regulatory regime. The 1999 Law specifically excludes3 from its application contracts entered into by way of business, the making or performance of which involve dealing in any way with an investment (or making arrangements for another person to deal in any way with an investment, or offering or agreeing to do so). The definition of investment is necessarily wide and includes rights under an insurance contract, rights under a contract for differences, options and futures contracts. ‘Except as may be provided by the provisions of any Ordinance made under [the 1999 Law], all forms of gambling are unlawful.’4 The lawfulness of gambling in or from within Alderney is therefore provided for by a series of ordinances that legalise gambling only when conducted from within a set regulatory framework. Gambling is an industry in Alderney and the Alderney Gambling Control Commission (AGCC) has been in operation since 2000 to regulate it by way of the granting of licences and the supervision of licensees. Alderney is considered one of the world’s leading jurisdictions for the regulation of remote gambling and the island works hard internationally to encourage the development of the industry, while the AGCC set supervisory standards that are both appropriate to the industry and ensure the reputation of the island is protected. Beyond the regulatory requirements imposed on gambling under the 1999 Law there are no state controls on gambling and the Alderney regime does not favour the state over private enterprise. No limits apply to the number of licences available from the AGCC. Gambling is uniformly regulated across Alderney with no territorial distinctions made on the island. However, while Alderney forms part of the Bailiwick of Guernsey, Alderney is a separate legal jurisdiction. Alderney laws in respect of gambling do not apply on Guernsey, Sark or Herm, all of which are subject to laws made by the States of Guernsey. The Bailiwick of Guernsey regulates a range of financial services businesses and, depending upon the manner in which remote gambling operators conduct their businesses, parts of this financial services regulation may apply either to the operators themselves or to their directors and service providers. The States of Alderney has a permissive attitude towards the provision of gambling services, and there is no general restriction in relation to foreign operators providing gambling products to Alderney citizens. The AGCC is very much a global citizen in this regard and has worked with a number of other gambling regulators to sign memoranda of understanding around the sharing of information relating to licensees including with the Nevada Gaming Control Board in January 2011; the Casino Regulatory Authority of Singapore in October 2012; and the British Gambling Commission in February 2013. This is in the context of remote gambling only. Any foreign operator who wants to provide land-based gambling would need to apply and obtain the relevant licences locally. Alderney is the northernmost of the inhabited Channel Islands and politically it is part of the Bailiwick of Guernsey, a British Crown dependency. As stated above, Alderney is a separate legal jurisdiction. The States of Alderney is the legislature of the island, although Alderney sends two representatives to the States of Guernsey as well. While Alderney enjoys full autonomy in law (except in matters of foreign affairs and defence, like the other Channel Islands and the Isle of Man), under the provisions of a formal agreement entered into between the governments of Alderney and Guernsey, certain matters have been delegated to Guernsey. These transferred services include policing, customs and excise, airport operations, health, education, social services, childcare and adoption. Immigration is the responsibility of the UK (UK law applies), with day-to-day operations carried out by the Guernsey Border Agency. In addition to the transferred services, both the UK and Guernsey may legislate on other matters with the consent of the States of Alderney. Gambling legislation was first put forward in Alderney in 1975 in the form of the Gambling (Alderney) Law 1975. The 1999 Law is now the primary legislation regulating gambling within Alderney. 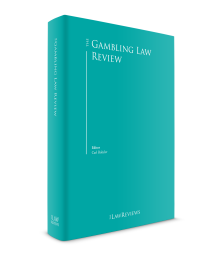 The significance of remote gambling to the island’s wider economy and its global status in the field unsurprisingly have led to a deep pool of subsidiary legislation in this regard, with no fewer than 39 separate pieces of subsidiary legislation relating to gambling on the statute book. Of these, the Alderney eGambling Ordinance 2009 (the 2009 Ordinance) and the Alderney eGambling Regulations 2009 (the 2009 Regulations) are the most significant pieces of legislation for remote gambling operators. The AGCC was established in 2000 under the 1999 Law.6 The AGCC is the regulatory authority tasked with the responsibility of ensuring and maintaining the integrity of the online gambling industry in Alderney. c electronic gambling is regulated and monitored so as to protect the interests of the young and the vulnerable, and without compromising this primary objective, to work with other agencies in the development of eGambling activities regulated by the AGCC. The AGCC’s responsibilities are therefore effectively related to the licensing of new applicants as well as the supervision of existing licensees and gambling more generally. The licensing process involves the review of all applicants to determine their fitness and propriety as well as a review of a licensee’s gambling equipment and systems, internal controls and operating procedures. Licences and certificates are not subject to time-based renewal but granted indefinitely and the number of licences the AGCC is able to grant is not subject to any kind of cap. Both remote and land-based gambling are permitted in Alderney. Notwithstanding this, the island’s small population size and worldwide stature in the field of remote gambling has meant that the focus of almost all regulation is remote gambling. Alderney does have specific and separate legislation in respect of land-based gambling.8 Owing to the island’s small population, land-based bookmaking has, however, been negligible to non-existent over the past decade. Following the 2001 regulation by Alderney of online gambling, commonly referred to by the AGCC as ‘eGambling’, Alderney became one of the first non-European Economic Area jurisdictions to be white-listed by the UK. This allowed Alderney licensees (and those of other white-listed jurisdictions) to advertise and offer gambling services in the UK without obtaining a Gambling Commission operating licence, until the white-list regime was ended by the Gambling (Licensing and Advertising) Act 2014. The legislation was overhauled by the States of Alderney in 2009 and the 2009 Ordinance is now the most significant piece of legislation for the purposes of remote gambling, and is intended to be as future-proofed as possible in a technology-driven industry. The 2009 Ordinance provides the current framework for the legal provision of remote gambling from within Alderney. eGambling is defined in the 2009 Ordinance as where the gambling transaction with an eGambling licensee or Category 2 associate certificate holder is effected remotely by a customer by means of a telecommunication device. b the Category 2 or business-to-business (B2B) licence, for an operator that manages the platform and any games approved to run on that platform without the direct customer relationship. Alderney has positioned itself as a global leader in the regulation of remote gambling, particularly in the B2B space. Its licensees hold a significant proportion of the global market. A person who is a key individual and who does not, without reasonable excuse, hold a key individual certificate is guilty of an offence and is liable, on conviction, to a fine not exceeding £25,000. As outlined in Section II.v, supra, there are two types of licence available in Alderney, distinguished on the basis of the two distinct functions of eGambling with licences covering the player relationship, and the provision of games and betting activities: Category 1 or B2C licence; and Category 2 or B2B licence. A single entity may choose to hold either or both licences. The application process is identical irrespective of whether an application is made for one or both types of licence. c a hosting certificate for the physical accommodation of gambling equipment, which must meet the AGCC’s technical standards. The Alderney licence application process can be considered to have three constituent parts: suitability, fair games and adequate process. The first stage of the application process requires applicants to submit a completed application form with supporting documents as well as key individual certificate applications in respect of all key individuals who don’t already hold a key individual certificate. A ‘key individual’ is an associate, someone who occupies or acts in a managerial position, someone who carries out managerial functions, or someone who exercises significant influence over the operations of the applicant. A deposit of £10,000 must be paid in respect of the AGCC’s expenses in investigating and processing the application. After receiving an application, the AGCC will typically seek a meeting with the applicant to talk through the business plan and intended remote gambling operations as well as the staff and corporate entities involved in the application. Successful completion of the first stage will result in a licence being issued on payment of the applicable licence fee, and the licensee will proceed to the second stage of the process. Stage 2 requires the AGCC to assess licensees as being adequate with regard to their internal control system, gambling equipment and capitalisation. The application process is suggested by the AGCC to have a time frame of six months, though this is necessarily influenced by the timelines in which applicants supply required information. Licensees are required to submit regular financial and operational reports, which include information relating to player activity, suspicious transactions and significant player deposits or losses in addition to their broader anti-money laundering reporting obligations. Licensees are subject to an annual audit requirement in respect of their financial accounts. 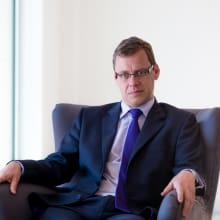 b in the case of a second or subsequent offence under the same provision, a fine not exceeding £50,000 or imprisonment for a term not exceeding two years, or both. The most well-known use of the AGCC’s sanction powers remains the suspension and subsequent revocation of the licences held by a number of companies trading as Full Tilt Poker following investigations by the AGCC. In that case, the AGCC found its investigation showed a shortfall of funds in the group caused by third-party theft and by covert seizure of funds by US authorities, both of which it stated had been concealed from the AGCC. Alderney, as part of the Bailiwick of Guernsey, is subject to the anti-money laundering regime established by the States of Guernsey under the Criminal Justice (Proceeds of Crime) (Bailiwick of Guernsey) Law 1999 and ancillary legislation. Owing to Guernsey’s status as a leading international finance centre, it is highly focused on compliance with international standards (as represented by the Financial Action Task Force and Committee of Experts on the Evaluation of Anti-Money Laundering Measures and the Financing of Terrorism) in respect of the application of sanctions, prevention of terrorist financing and prevention of money laundering. The Guernsey legislation and guidance in this regard is regularly updated to reflect international best practice. Licensees are required to appoint a money-laundering reporting officer to report suspicious activity. Failure to report, where appropriate, may result in criminal prosecution. Licensees are assessed in respect of their processes in this area as part of the licensing process and on an ongoing basis. For taxation purposes, Alderney is part of the Guernsey taxation regime and treated as part of Guernsey. There is no corporate tax, VAT or other tax or duty applicable to gambling licensees in Alderney. The corporate tax regime for Guernsey and Alderney companies has been approved by the EU. Under this regime (‘zero-10’) companies with non-resident shareholders are not liable for any corporate tax, so the effective rate for a foreign-owned company is zero per cent. In order to benefit from the zero per cent corporate tax regime, licensees must demonstrate that (1) they are resident in, and managed and controlled from, the Bailiwick; and (2) the main permanent establishment that generates all or the majority of their group profits is in the Bailiwick. Guernsey income tax for individuals is set at 20 per cent with a maximum charge of £220,000 per year on Guernsey-sourced income and a maximum charge of £110,000 on non-Guernsey income. More than 90 days in Guernsey will establish residency and 180 days will establish sole or principal residency. Social security is set at 6 per cent for employees and is capped at annual earnings of £120,000. Alderney continued to welcome new licensees in 2016, and also saw a number of merger and acquisition transactions involving remote gambling operators. These trends have continued in early 2017. It is to be expected that Alderney will continue to grow as a remote gambling jurisdiction looking to access newly opening markets and continuing to build its relationships with other gambling regulators. New licence applications are still being processed notwithstanding international political upheaval and Alderney continues to market itself as a remote gambling jurisdiction to a range of different global market places. One area where industry as a whole may need to adapt is the impact of the General Data Protection Regulation on internal procedures, data processing and usage. While Alderney is outside the EU it is expected that the Bailiwick of Guernsey (and hence Alderney) will put in place an equivalent regime and that those processing or controlling personal data (such as Category 1 licensees) will therefore need to meet European data protection standards. At the time of writing, the Bailiwick of Guernsey’s law introducing the new regime has not been published and so it is impossible to be certain on the scale or scope of its impact; however, as the regime will seek to be equivalent to that put in place by the General Data Protection Regime (and as operators may interact with European clients in any event) it can be anticipated that data subject rights such as portability, subject access requests and the right of erasure will be applicable to many, if not all, licensees when processing personal data. 1 Wayne Atkinson is a group partner at Collas Crill. 2 Section 20, the 1999 Law. 3 Section 19(3), the 1999 Law. 4 Section 5, the 1999 Law. 5 Section 19(1), the 1999 Law. 6 Section 1, the 1999 Law. 7 Section 2, the 1999 Law. 8 The Gambling (Betting) (Alderney) Ordinance 1997 and Gambling (Bookmakers) (Alderney) Ordinance 2002. 9 The Gambling (Interactive Gaming) (Alderney) Ordinance 2001. 10 Paragraph 19(1), the 2009 Ordinance. 11 Section 13, the 1999 Law. 12 Section 11, the 1999 Law. 13 Section 12, the 1999 Law. 14 Section 12, the 2009 Ordinance. 15 Schedule 16, the 2009 Regulations. 16 Regulation 4(c), the 2009 Regulations. 17 Regulations 8(1)(c), 6(c) and 60(b), the 2009 Regulations.